Hot dogs are getting fancier and fancier these days. From carrots instead of sausages (a bafflingly unnecessary substitution), to extravagant toppings, hot dogs have come a long way since I was a nipper and we used sausages from a can. 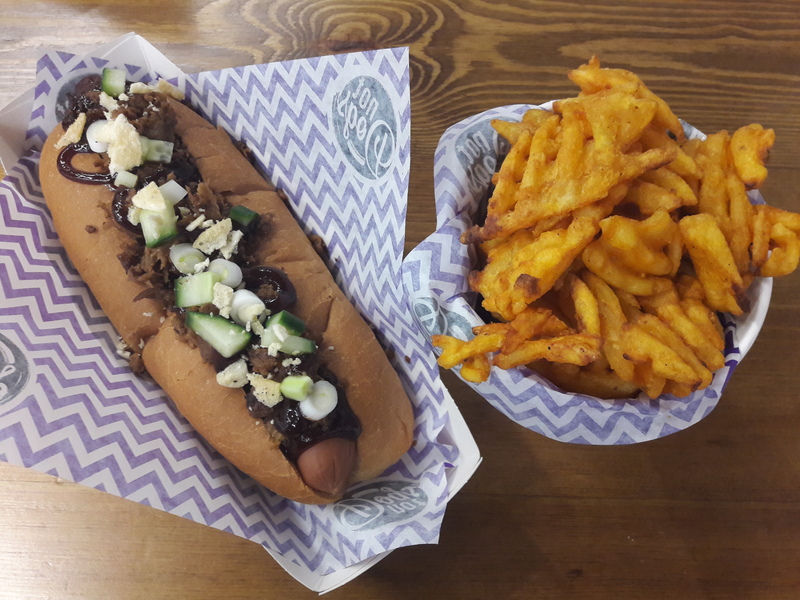 I was intrigued enough by the hot dog craze to try out Not Dogs, a fancy hot dog place in Birmingham – and I was won over! Not Dogs is located in the Bullring, Birmingham’s famous, gigantic shopping centre. We only got lost once trying to find it, which was quite the achievement. It’s a meat-free establishment, as the name suggests, with vegan options available for all but one of the hot dogs (the chilli dog, which is what Dr HH got – I guess it’s made with non-vegan mince? It was extremely mild chilli anyway, according to Dr HH, so we’re in no way missing out). That leaves six veganisable dogs, plus a couple of burgers and some ‘not pots’ – essentially a pot of the topping (chilli, tikka masala, hoisin duck), minus the sausage and bread (aka the best part). I didn’t want anything with mustard and I worried the tikka masala would be too sloppy, so I went for the ‘what the duck dog’, with a side of waffle fries. The topping was excellent – Dr HH said it was comfortably better than his. It had shredded duck, lashings of hoisin sauce, spring onion and cucumber, and crumbled bits of rice cracker which gave it a great bit of crunch. I loved it! It was a really filling meal too. I’d expected that all the effort would go into the topping and the sausage would be a thin little vegan frankfurter, but it was actually a good hearty sausage! Because Not Dogs seemed like a pretty slick fast food operation in a prime location, I assumed it was some big company, but the walls tell the story of its origins as a food truck run by two women (each now with a hot dog named after them on the menu). A women-owned meat-free company definitely sounds like one worth supporting! 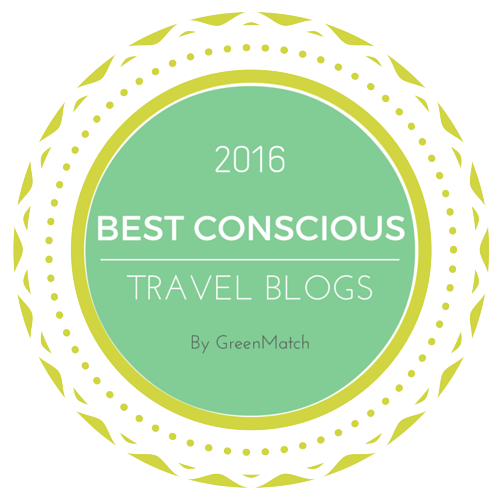 This entry was posted in Travel and tagged Not Dogs Birmingham, vegan Birmingham, vegan travel. Bookmark the permalink. I also remember hot dogs in a can from being a little ‘un, but these are much more up my street. I love a good hot dog (though the sloppier the better!) And the waffle fries – just yes! The next time I find myself in Birmingham, I know where I’m going for lunch. There were a few sloppier options, so I’m sure you’ll find the perfect one! Enjoy! What a cool place! I love these fancy dogs. They are a great way to use leftovers that aren’t enough for one serving. I actually like those carrot dogs, but I’ll admit- they aren’t hot dogs. I’d never thought about using leftovers that way, good thinking! I actually didn’t mind the one carrot dog I had, but I don’t know why anyone would actually choose it over a mock meaty alternative! I’m with you there! And the staff always come over to check if everything’s ok when I’m just at my messiest moment!